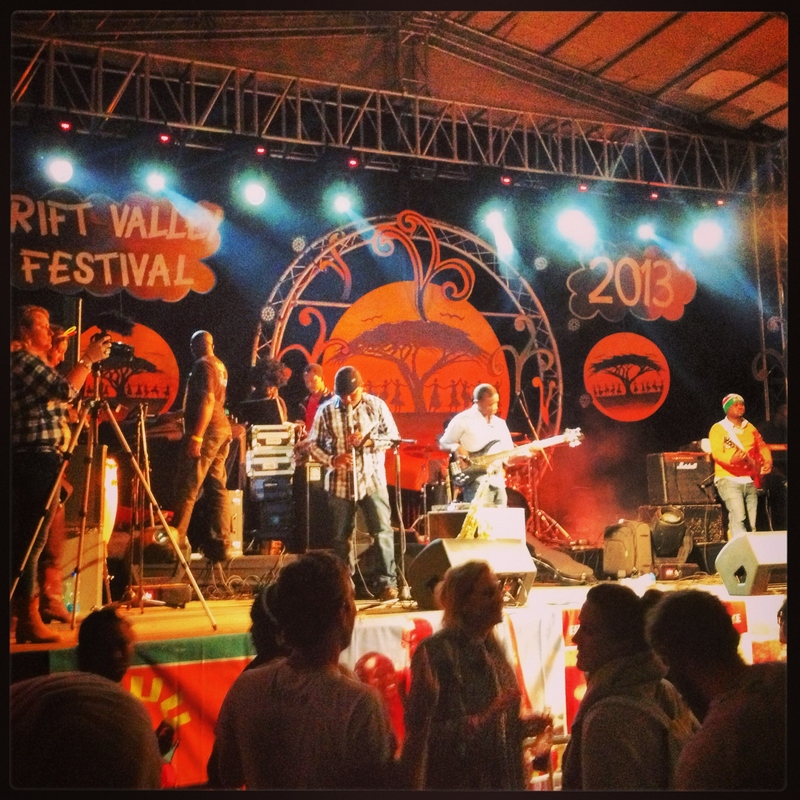 I spent the next two and a half weeks living the life in Diani. 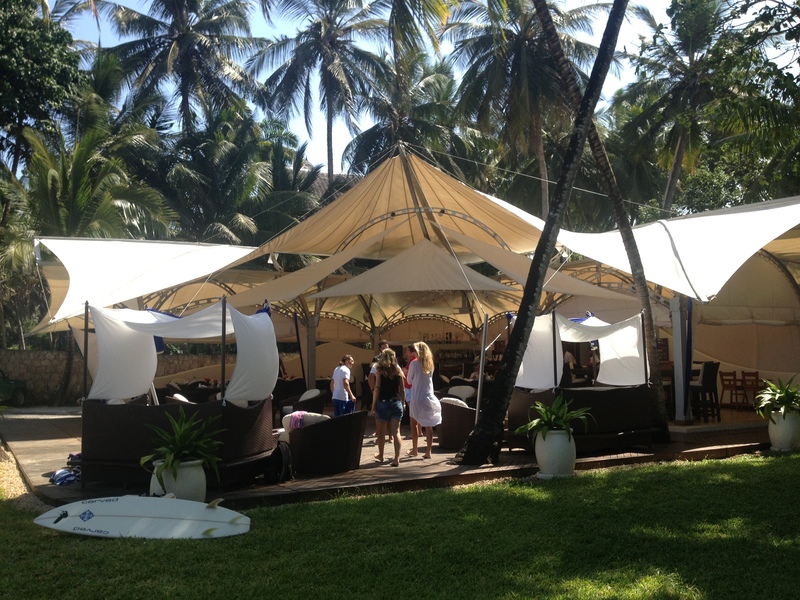 Boris’ house is right on the beach and is just a little piece of paradise. He lives by himself on a large property with villas for his brother and father, and a guest cottage at the back. There’s a beautiful garden with a swimming pool just before the fence and then you’re on the beach. His place is just south along the beach from his Kite Surfing School at Kenyaways. 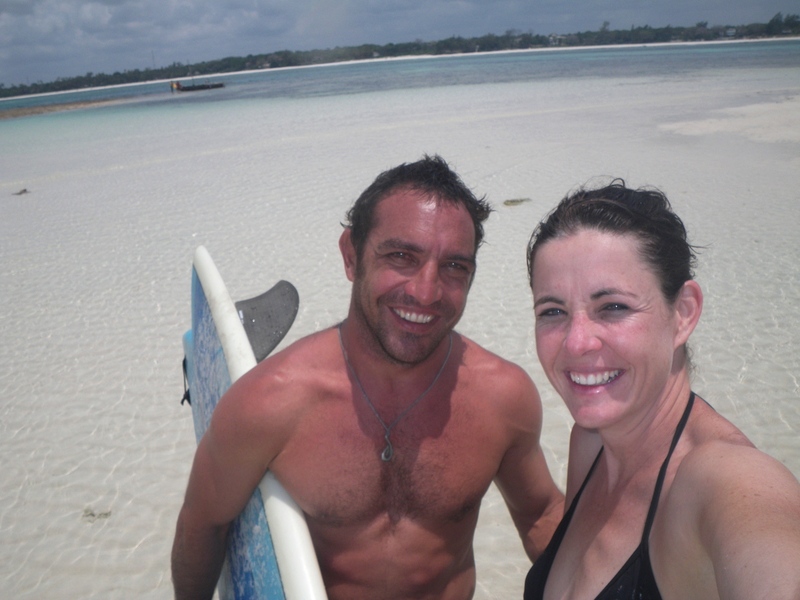 The awesome little boutique resort, Kenyaways, is run by Lindsay and good friend Bruce runs the restaurant Madafoos. It’s where I spent many hours chewing the fat with all the wonderful people I got to know! 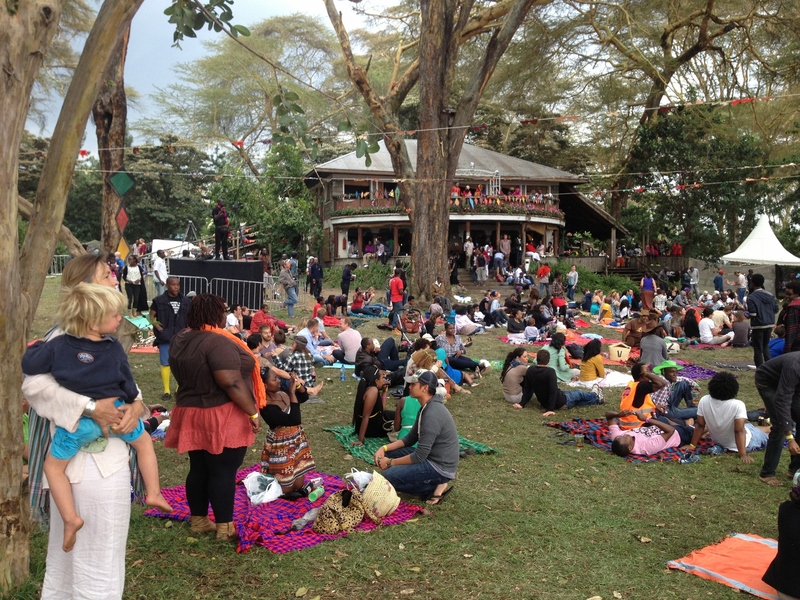 Travellers and residents alike, this is where the fantastic little community of Diani comes together! 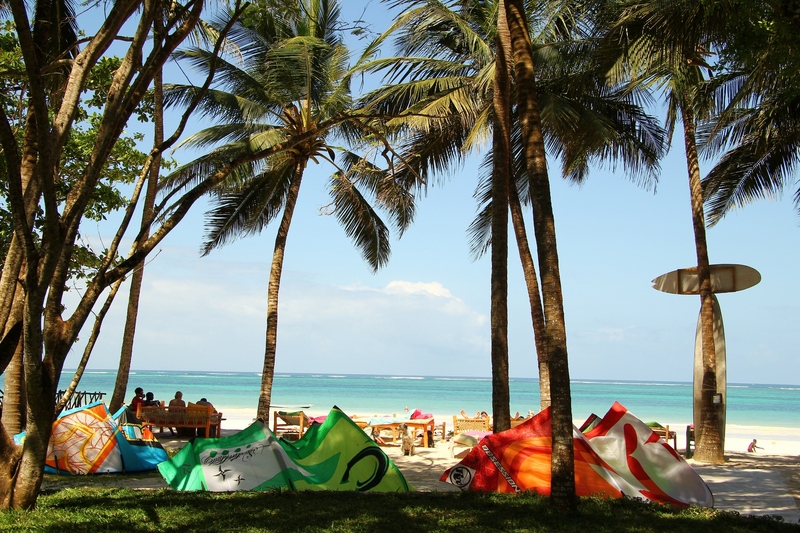 Most of our lives revolved around Galu Beach, the beach adjacent to Diani where Kenyaways is situated. 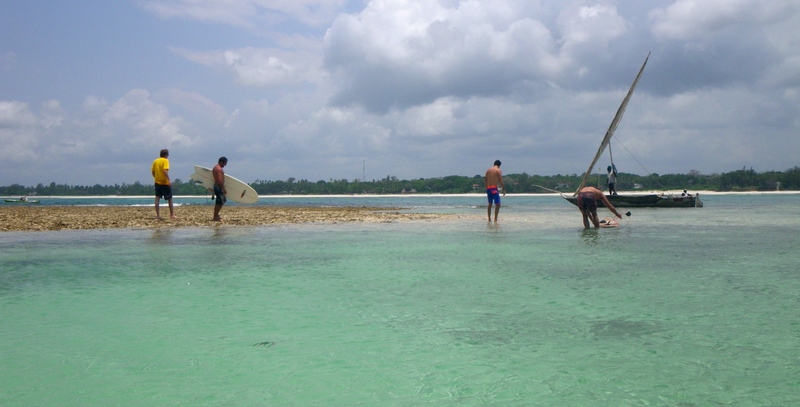 I spend my days going out on ingalawas with the surfing crowd – Boris, Bruce, Pepe, Lindsay, Wes and Olive – and taking Boris’ dogs, Pluto and Scooby for long walks on the beach. There is a fantastic German lady called Maria who does reflexology once a week and I found myself on her table more than once – I attribute the rapid recovery of my neck to her, hands down! 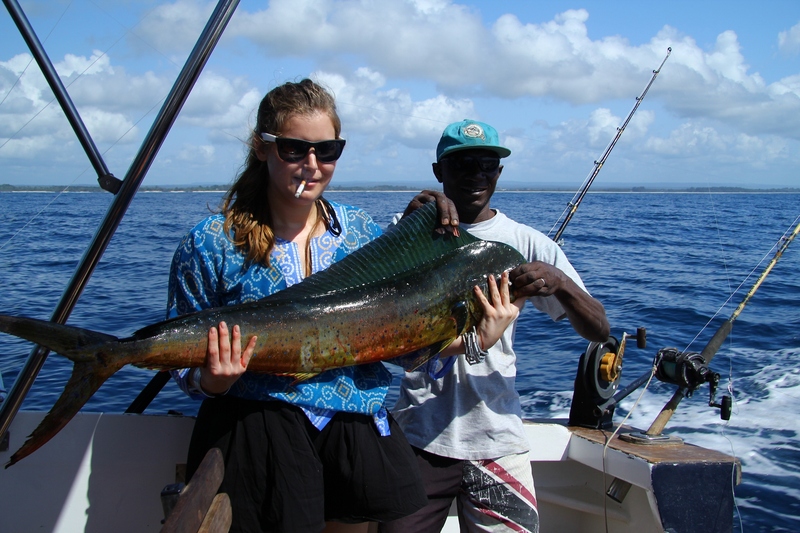 One day my friend Reed called us up and asked us if we wanted to go deep sea fishing with her (this is just typical of the life these people lead in Diani…), so Olive, Wes and I hopped on board and we sailed the big blue trawling for dorado for most of the morning. Just love this lifestyle! 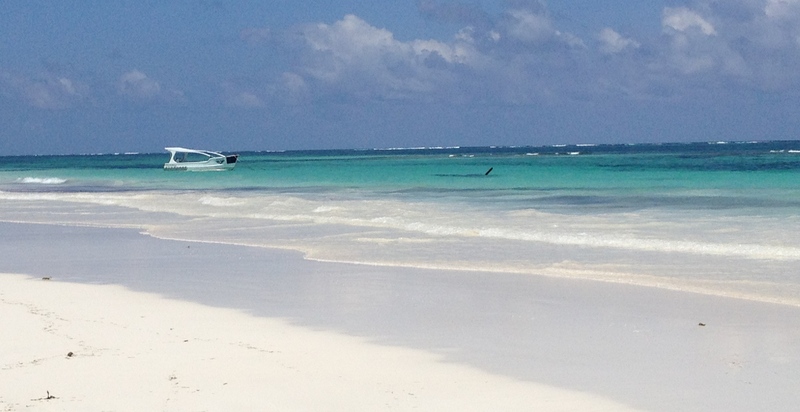 Most of Boris’ friends are resort owners or run their own businesses in the area so there was always someone up for a spot of lunch or dinner, and I got to see the most incredible resorts along the Diani strip.